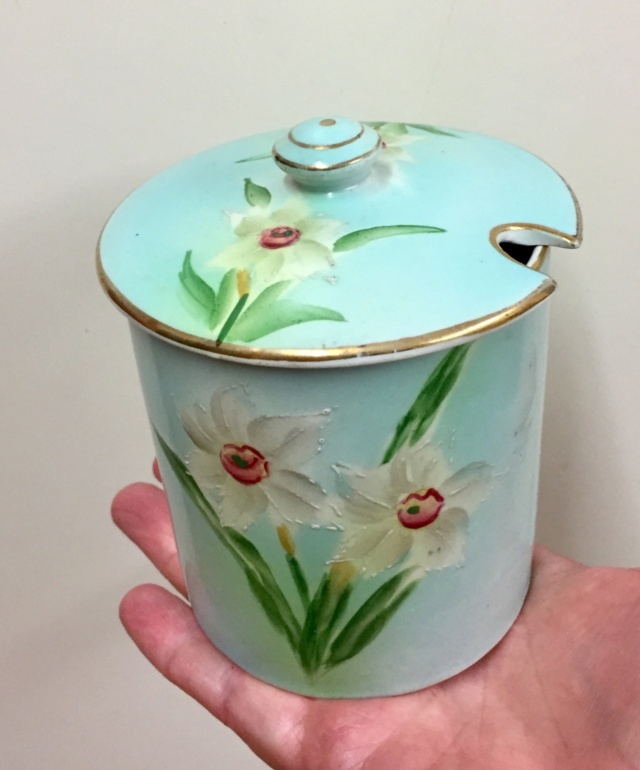 Jam jar with blue ground and hand painted daffodils. Porcelain, numbered on the base. French, maybe? Late 19thC?